Remember this cute Halloween costume party I shared a few weeks ago? I really loved the silhouette accents. I thought for a costume party, silhouettes would be fantastic because they would be adorable décor, but would also not take away from the decked out, dressed up guests. Win-win. But I got to thinking; you know who else would probably appreciate a party like this? Engaged couples! Think about it, they are there to celebrate their engagement with family and friends, but they still want a festive and decorated vibe. 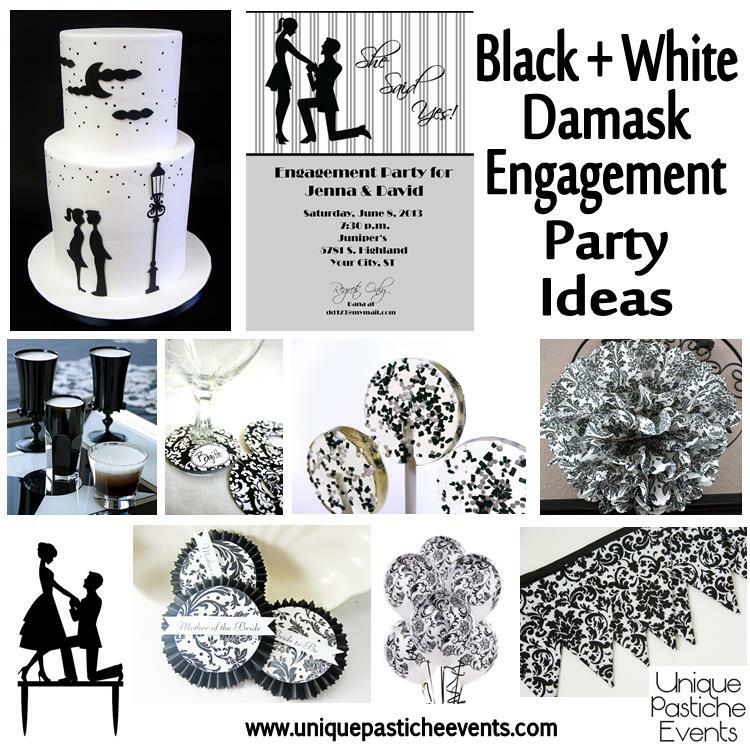 For this week’s inspiration board, I went with black and white damask print, with silhouette accents. Would you keep this event black and white only, or would you had a pop of color?